KitMonsters – Chandler Limited REDD.47 Pre Amp. The music makers’ guide to making music. Highly coveted by sound engineers and music technology enthusiasts, the REDD.47 microphone pre-amplifier is most closely associated with the sound of The Beatles’ music recorded in Abbey Road’s Studio Two between 1964 and 1968. Now Abbey Road Studios revived this legendary sound with a new incarnation of the famous REDD.47 in conjunction with Chandler Limited. It has been described as giving ‘edgy treble’ - warm and sometimes aggressive. 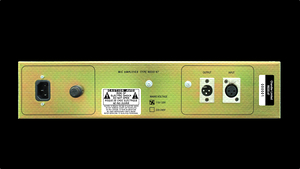 Designed as a central component to the EMI REDD.51 recording console, the original REDD.47 line amplifier was used to amplify virtually every stage of the audio path (mic inputs, line inputs, echo sends and monitors). The origins of the REDD.47 began at Abbey Road Studios’ technical division - the Record Engineering Development Department, in 1958. The REDD.47 line amplifier was designed as the replacement for Telefunken’s V72S. The latter was a specially modified version of the Telefunken V72 valve amplifier, used in the early EMI REDD mixing consoles at Abbey Road Studios. The REDD.47 tube amplifier was introduced as the plug-in all-purpose line amplifier component for EMI’s next generation REDD.51 mixing console, first built in 1959. However, Abbey Road’s Studio Two, home to the majority of The Beatles’ recording sessions, only received its REDD.51 mixing console in 1964. The REDD.47 left its unmistakable sonic character on every Beatles record from 1964 to 1968. Abbey Road Studios and Chandler Limited’s re-imagination of the REDD.47 realizes the punchy, aggressive sound of the original pre-amplifier, while adding new features required for the rigours of today’s recording studio environment. One of the features of the REDD.47 design is increased gain, allowing a range of tonal options from pristine clean sound to classic rich, saturated tone with up to 2% harmonic distortion before clipping. 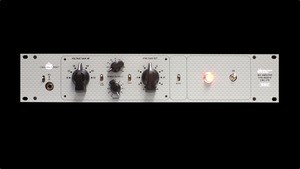 The REDD.47 pre-amp easily reproduces the distortions heard on The Beatles’ ‘Revolution’. It has a Tube circuit (EF86, E88CC).